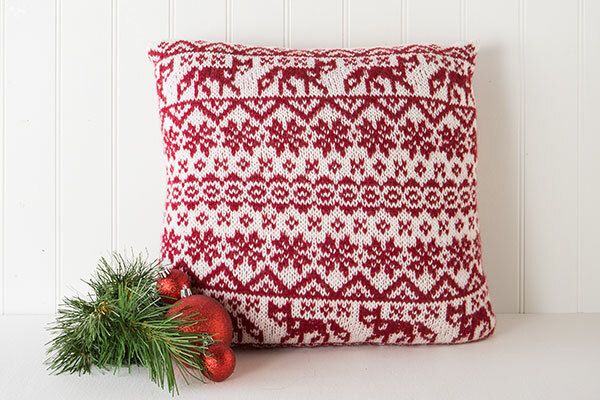 This set of pillows features both the beauty and the cuteness of winter’s cleverest animal. 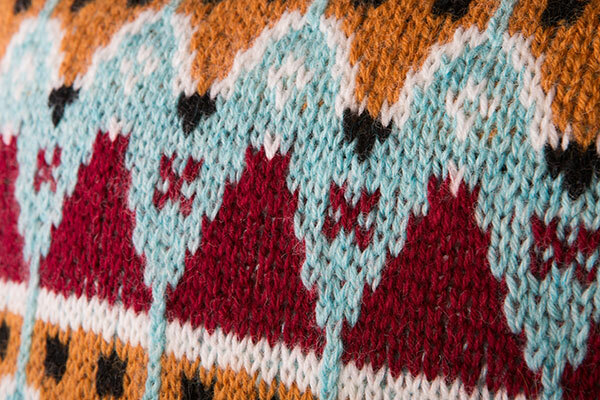 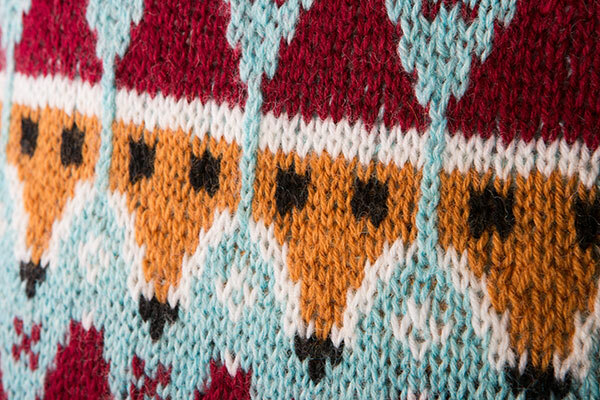 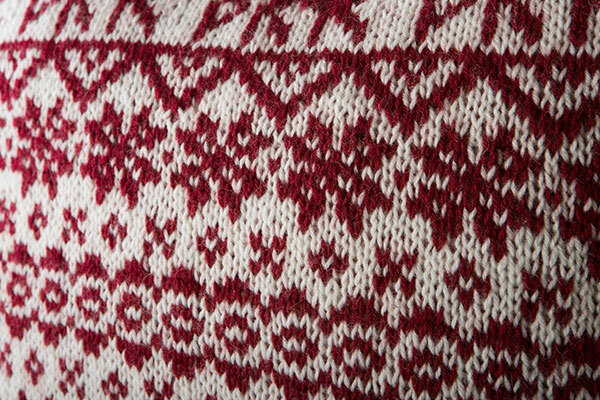 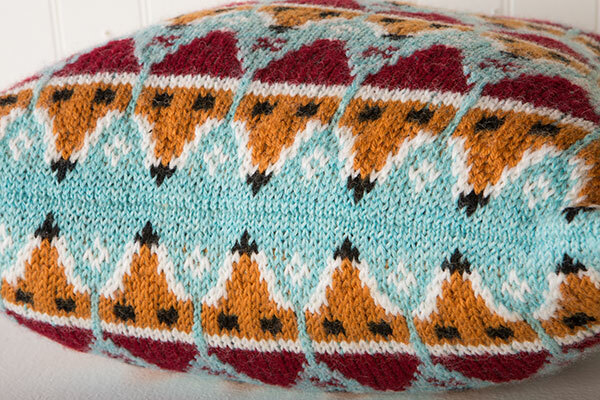 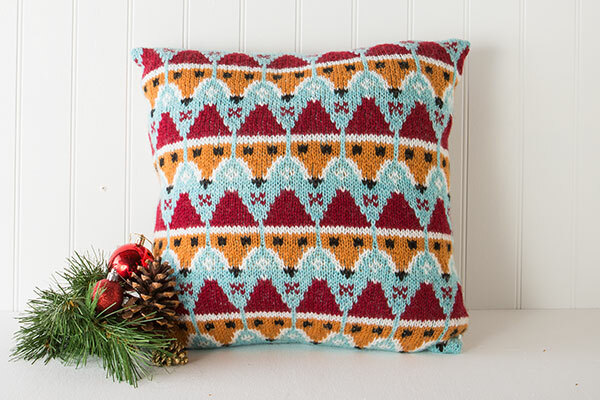 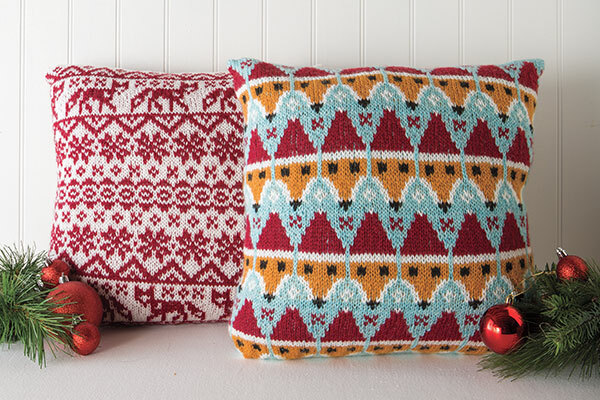 Curious foxes look out from a traditional Fair Isle pattern on the Fair Isle Fox pillow, while foxes adorned with Santa hats show their holiday spirit on the Festive Fox pillow. 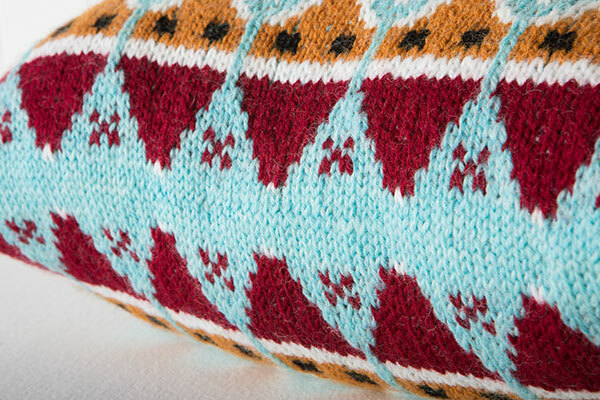 Both pillows are worked in the round from the bottom up, with the same pattern on the back as on the front. 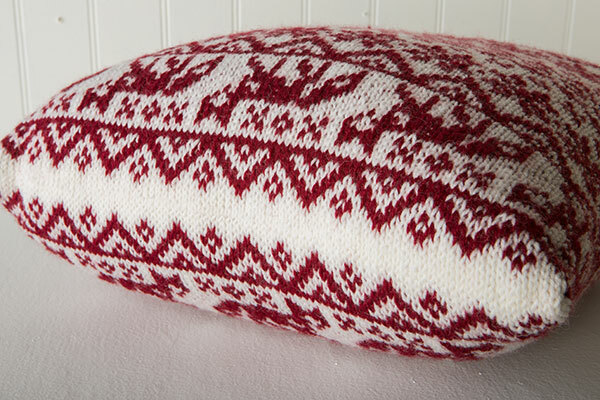 Once the stitches at the top of the pillow are grafted together, a pillow insert can be placed inside, and the bottom edge is sewn shut.